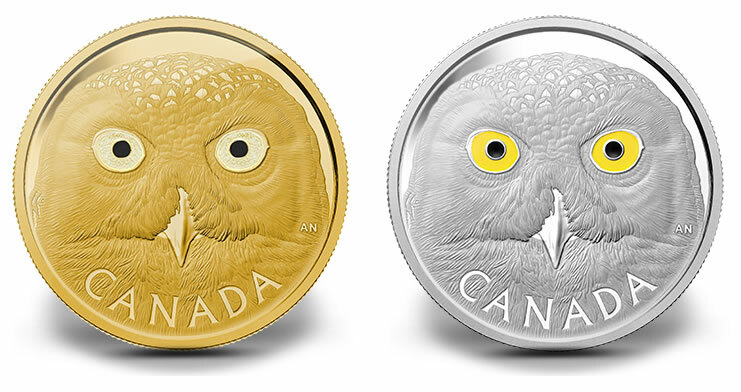 Two new annual series debut from the Royal Canadian Mint with releases of the 2014 Snowy Owl Pure Gold One Kilogram Coin and the 2014 Snowy Owl Fine Silver One Kilogram Coin. Each features reverse imagery of a snowy owl’s head with its massive eyes enhanced with colored enamel to highlight depth and contrast. Mintages of the two coins are extremely limited with only 10 of the gold coins available and no more than 500 of the silver coins. 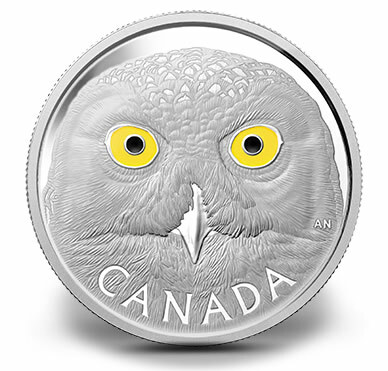 "Your detailed coin celebrates the snowy owl, a strikingly beautiful bird of prey inhabiting much of Canada’s North," describes the Royal Canadian Mint. The snowy owl nests in the arctic tundra where its incredible eye-sight is used as an aid in hunting under the midnight sun of the Arctic summer. The owl’s eyes are found on the front of its head, unlike other birds, which heightens the owl’s depth perception. On the reverses of the silver coins, the snowy owl’s eyes are in bright yellow and black enamel, which adds depth and contrasts the softly frosted feathers of its face. 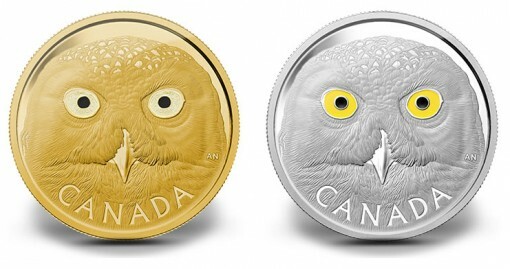 On reverses of the gold coins, the eyes of the snowy owl are in translucent and black enamel. Canadian artist Arnold Nogy designed the two reverses. His initials can be found to the right side of the design with "CANADA" inscribed below. An effigy of Queen Elizabeth II graces the coins’ obverses. The portrait, by Susanna Blunt, is surrounded by the inscriptions of "2014," "ELIZABETH II," "D G REGINA" and the legal tender face value of "2500 DOLLARS" for the gold coin or "250 DOLLARS" for the silver. Each release represents the first of 3-coin annual series. Both series celebrate the striking eyes of Canadian wildlife. Included with each coin is a Royal Canadian Mint-branded maple wooden box with a black beauty box, as well as a serialized certificate of authenticity. 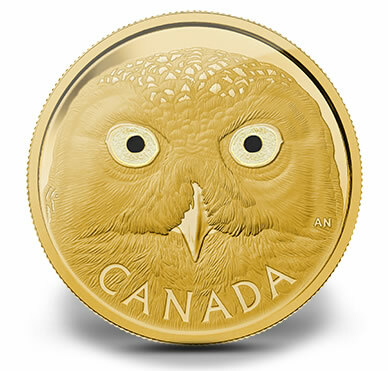 2014 Snowy Owl Gold and Silver Coins may be ordered directly from the Royal Canadian Mint (mint.ca). 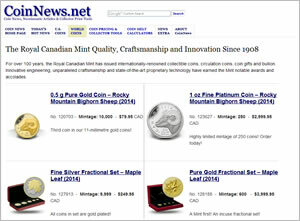 An affiliate link to the Mint’s newest coins is located here . God off all looking coin …. 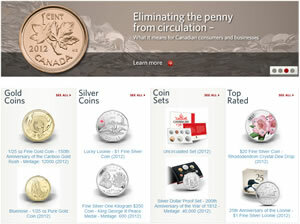 I am surprised that the US Mint has not explored minting the larger weight coins for metals Investors. Limited mintages would easily sell out.